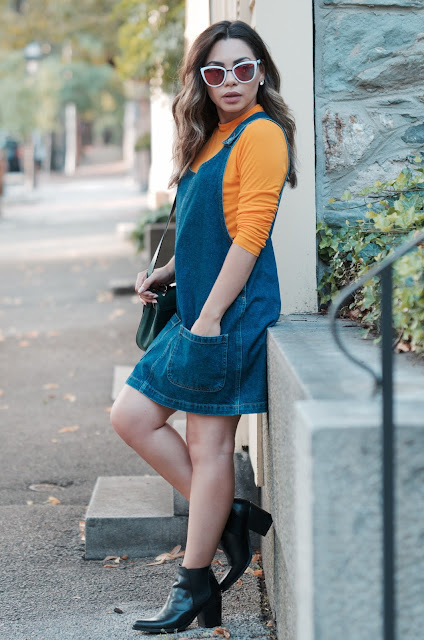 I never thought at 30 I could pull off a pinafore dress...but that just proves the versatility of this piece! 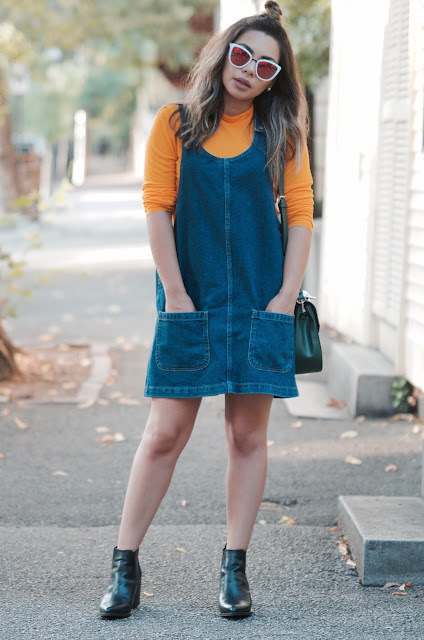 The pinafore dress was a trendy staple item last fall and I think it will be again this year. 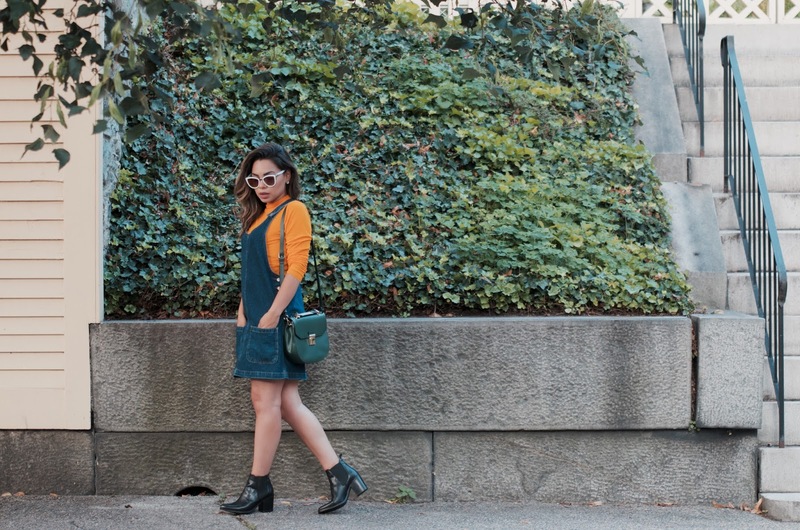 Its versatility comes into play by what you wear underneath (which can literally be anything!). 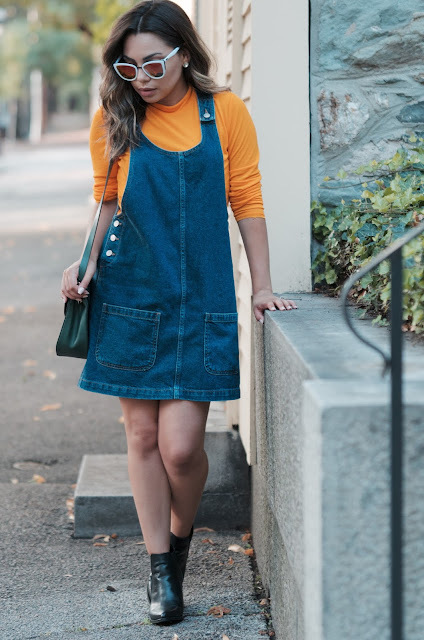 Its also a perfect piece for these early transition into fall months. 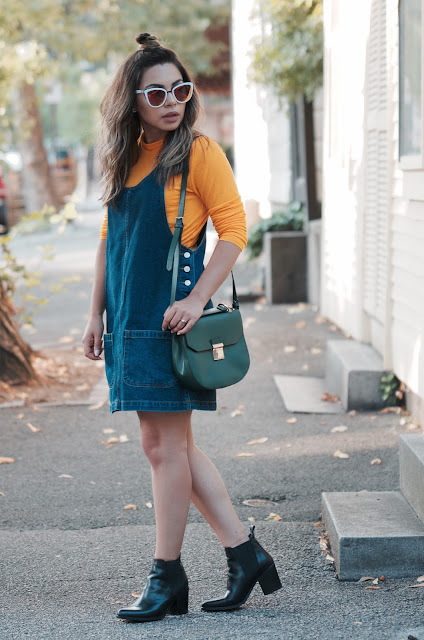 A perfect way to pair the pinafore dress for fall is with a pair of ankle boots and a book bag (where was this cute look when I was in college?!). 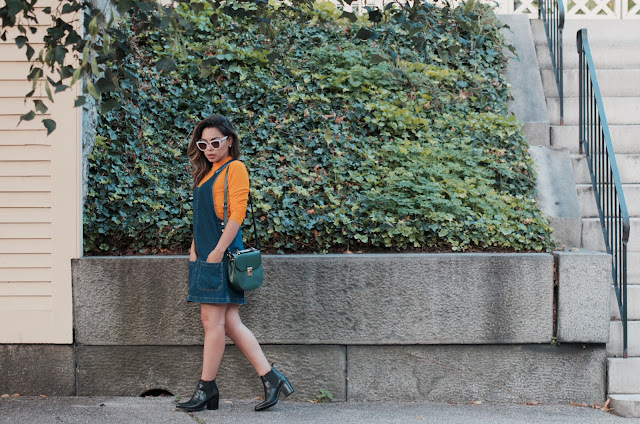 To add a contrast to the denim dress I wore a bright orange turtle neck and a dark green Zara shoulder bag.